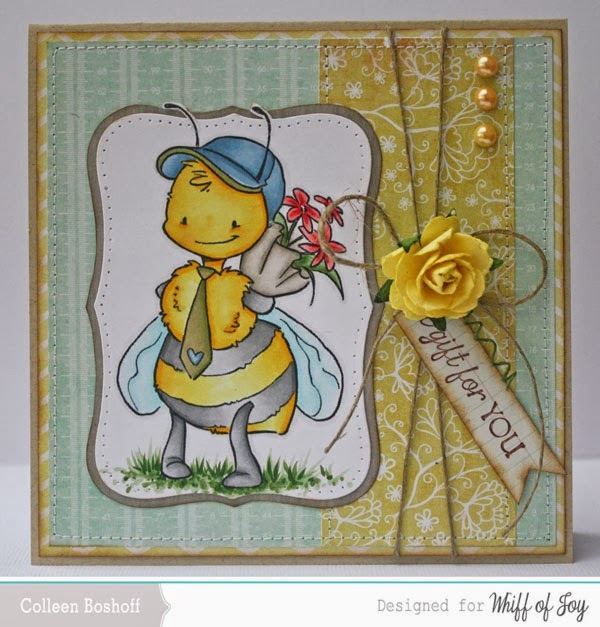 I am back with another WOJ preview and I have a lovely new image to share with you today, this is 'My Heart Bee_longs 2 You', isn't he cute! I kept the design pretty simple and kept the main focus on this adorable image. The papers are MME 'The Sweetest Thing', some WOJ button twine, the sentiment is WOJ and is a new release this month 'Birthday Phrases', some pearls and a rose to finish it off. I hope you enjoying the sneak previews and don't forget to join in the fun 20th January for WOJ's blog hop! 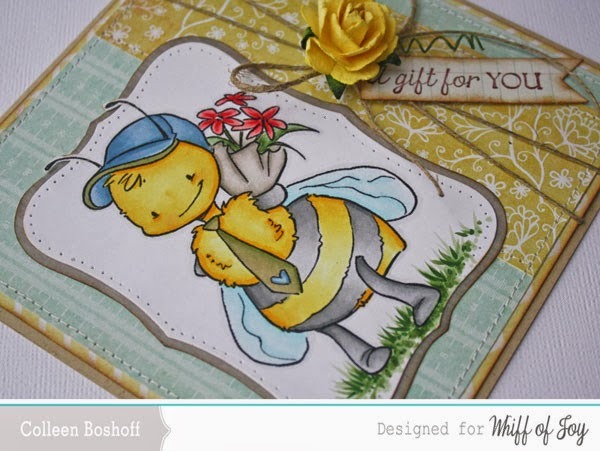 What a sweet image, very cute, nice card creation! Adorable... the grass you added is perfect!